Topshop Unique is definitely not only a highlight of London Fashion Week but fashion month too. Likewise to Burberry, Topshop Unique is unapologetically patriotic and the British style is always the foundation of the collection. 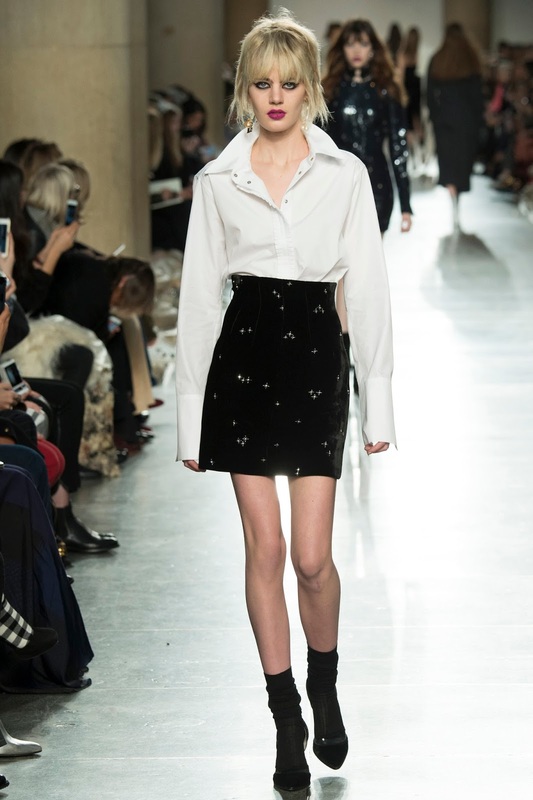 It isn't just the fashion which makes this one of London's biggest shows but of course the London "IT" girls which we all read about in magazines and admire on social media such as Suki and Immy Waterhouse and Lottie Moss. In addition, huge names such as Alexa Chung have sat on the FROW and Cara Delevingne has starred in two campaigns for the brand. Recently, Topshop have started to introduce international social media starts including Kendall Jenner, Gigi Hadid and Karlie Kloss - who together lead the army of the most influential young women in fashion. Being one of the biggest fashion retailers on the planet, Topshop Unique are under immense pressure to produce a line which is boarding on the luxury side, but also appealing the bargain hunters and high street fashionistas who have been loyal to Topshop since day 1. They also have pressure to grasp the attention of many more eyes than they have already - to keep expanding and expanding. The muse for this collection had multiple influencers. 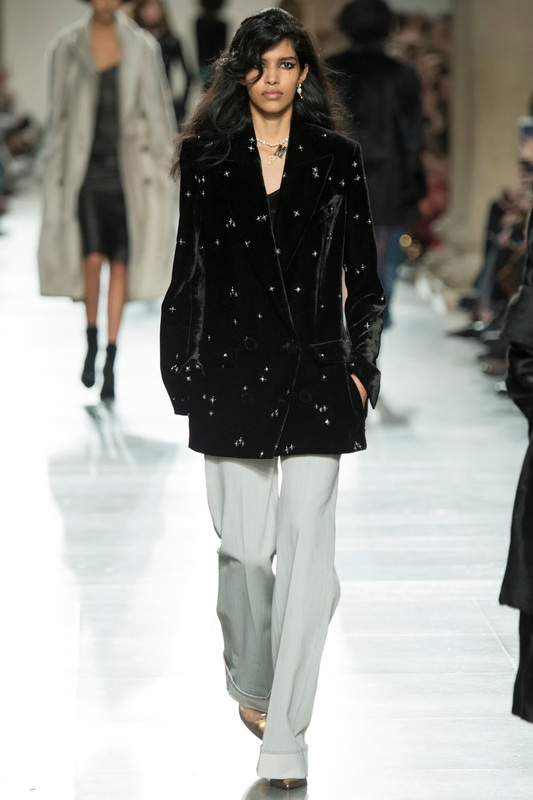 The french references were from Romy Schneider and Charlotte Rampling, but the line had more of a historic British vibe from Anne Boleyn, which was evident in the prim collars and beautiful pearl detailing - bringing a very elegant and regal feel to an otherwise very relaxed collection. 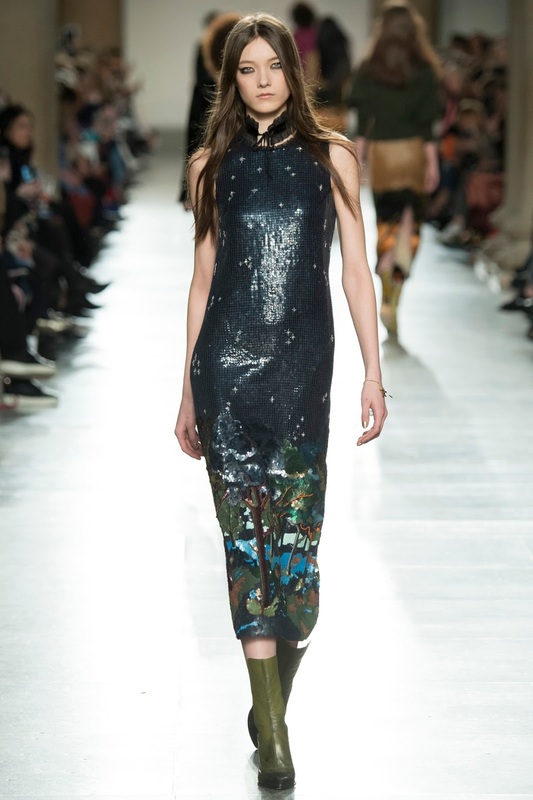 Inspiration from A Winter's Tale was also included in rich velvet fabrics and and sequins which came in the form of pretty cocktail dresses and minidresses. Velvet jumpsuits were teamed with laced collars and gorgeous black chiffon dresses, which really conveyed a dark romantic feel, were complimented with ribbon checkers - which have been very popular over the past few years. 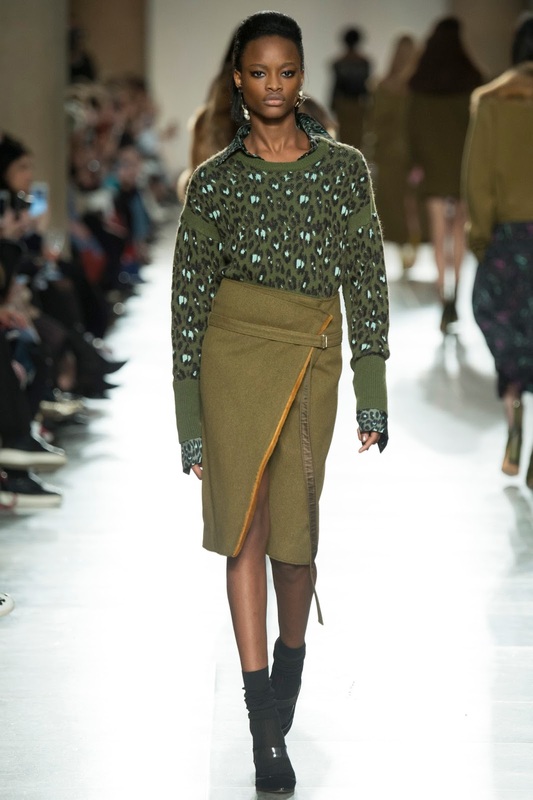 There were, of course, pieces that still presented a very youthful and "cool girl" vibe to still appeal to the clientele of Topshop. 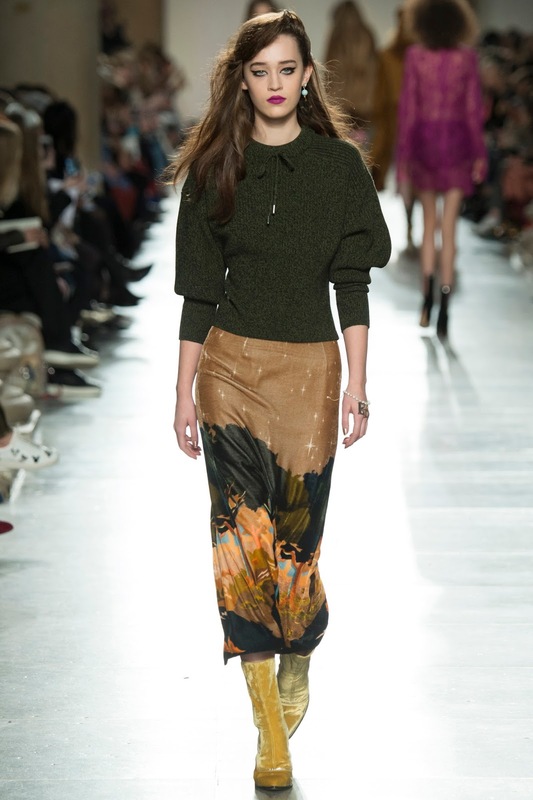 These included - sporty leggings, leather jackets with a fur collar and big fur coats. Despite the British history element of the collection, by including these trendy pieces, Topshop remained undeniably modern. They brought together what I would describe as British Heritage pieces which include 80s punk, country classics and grunge looks. 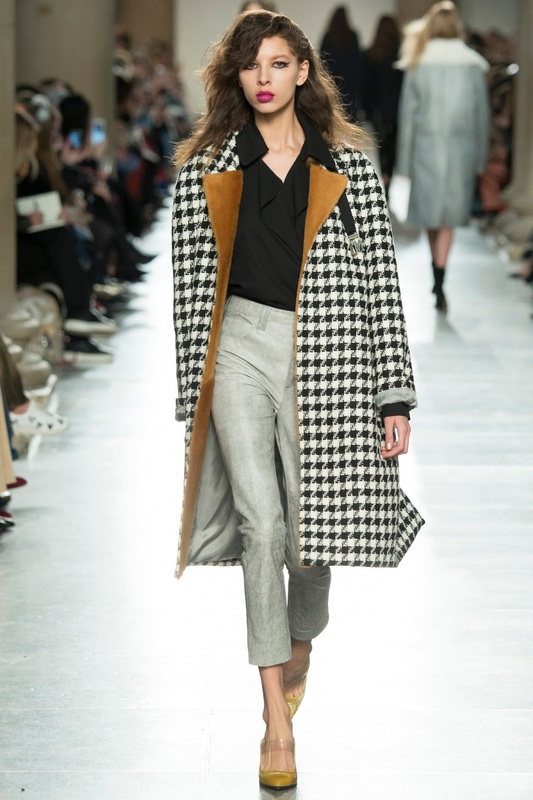 The creative director, Geoffrey Finch said that the show was representing "the highs and lows of British style," but as far as I am concerned, it was all highs.